Στις 23/6/15 η 5η Μπιενάλε Σύγχρονης Τέχνης Θεσσαλονίκης με τίτλο “Between the Pessimism of the Intellect and the Optimism of the Will / Από την απαισιοδοξία της νόησης στην αισιοδοξία της πράξης” ανοίγει τις πόρτες της παρουσιάζοντας 44 καλλιτέχνες από 25 χώρες καθώς και την κολεκτίβα Depression Era. 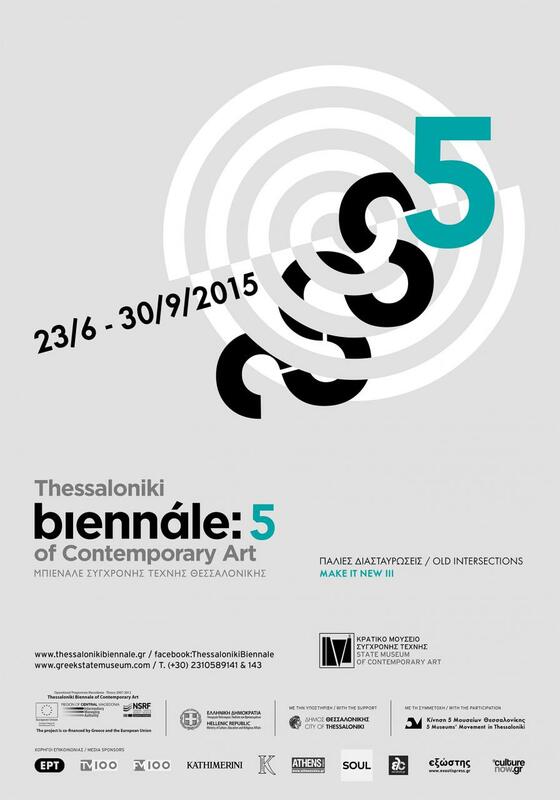 The 5th Thessaloniki Biennale of Contemporary Art under the title “Between the Pessimism of the Intellect and the Optimism of the Will” will take place from June 23, 2015 to September 30, 2015. Forty-four artists and the collective group Depression Era, from 25 countries all around the world will show their artworks, new and old productions.